For fans of Mystery Science Theater 3000, the not-too-distant-future has arrived. Netflix’s reboot of the cut classic TV show, which cracks wise about the poor quality of old B-movies, is now available. As in the original show, the new version of MST3K centers on a human who is trapped aboard and left at the whim of a mad scientist, who subjects him to terrible movies. In order to endure the torture, he invents robot pals, who join him as he makes fun of the material presented to him. In the reboot, the protagonist will be played by Jonah Ray and the scientist will be played by Felicia Day. Both Ray and Day are best known for their work with companies owned by Legendary Entertainment — Ray with Nerdist and Day with Geek & Sundry. The MST3K reboot was funded by a Kickstarter campaign that ultimately raised $5.7 million. With that budget, the show’s co-creator, Joel Hodgson was able to bring his baby back for a new 14-episode run. Netflix, as it is wont to do, has released all of those installments simultaneously. 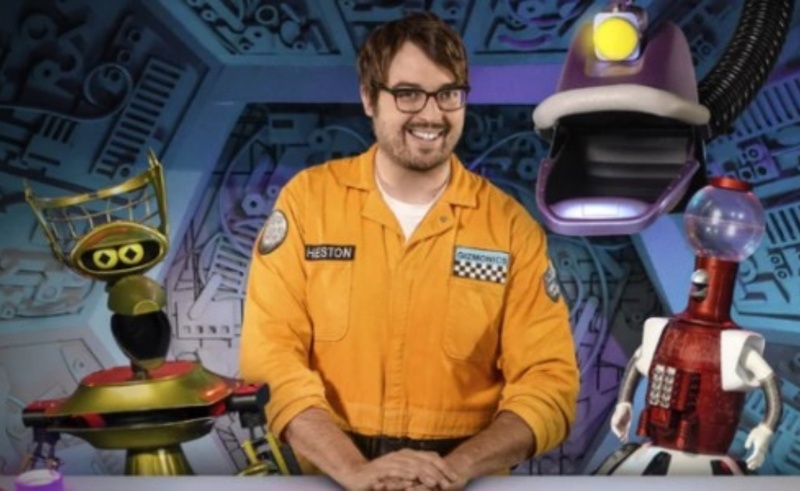 For newcomers, MST3K’s 90-minute episodes are intimidating, but according to early reviews, the reboot has retained the wit and goofiness of previous seasons. For its passionate fan base, that’s great news; for everyone else, the long list of talented people who are involved in this project should be enough incentive to give TV’s most-famous riff-based series a try.